Will the Judiciary in Pakistan Deliver Justice to the Country’s Death Row Prisoners? It took Iqbal Bano, a 60-year-old resident of Lahore, an hour to piece together the story of her son Khizar Hayat’s life for the past fifteen years. 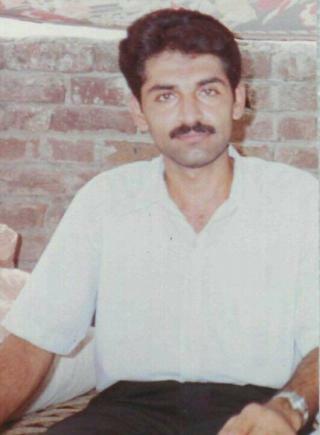 Hayat, a police officer from the village of Khangah Dogra outside Lahore, was arrested in the city in 2001 and charged with the murder of Ghulam Ghous, a fellow officer. On 1 August, when I spoke to Bano about the case over the phone, she told me that she believed that Jehangir Jawed, a man who claimed to be a saint, was to blame for her son’s troubles. “The pir [saint] saw that we are khatay peetay log—well-to-do people. He wanted my son to leave his wife and children and marry his daughter.” Bano alleged that her son had been under Jawed’s “influence” since 1996. She added that Hayat had kicked his wife and children out, and sold the family land so that he could procure money to build a home for his spiritual guide. Frustrated, Bano approached Ghous, Hayat’s friend, in 2001 and asked him to meet Jawed. “I wanted him to scare this man a bit, to shake him up,” she explained. A few days later, Ghous was shot dead and his body was dumped outside his neighbour’s house near Lahore’s Shad Bagh area. Bano was at home watering her garden when she received a phone call informing her that Hayat had been arrested and charged with the murder. Before her son’s first appearance in court in July 2002, Bano had paid a lawyer Rs 150,000 to defend him. The lawyer never turned up at the hearing. The prosecution had lined up witnesses who said they saw Hayat shoot Ghous while the police officials claimed they had arrested Hayat as he was trying to flee from the city. “I stood alone before the judge and I swore on the Quran that my son would never kill his friend,” she said. She told me that the judge took pity on her and promised to review the case before the next hearing. The delay did not help. “At the next hearing, I appeared in court to find that the same judge would not be presiding over the case,” said Bano. That day, in April 2003, Hayat was sentenced to death, joining more than 8,000 prisoners who are on the death row in Pakistan. Author Sanam MaherPosted on September 3, 2015 October 2, 2015 Categories Death penalty, Justice, PakistanTags Death penalty, Human rightsLeave a comment on Will the Judiciary in Pakistan Deliver Justice to the Country’s Death Row Prisoners?